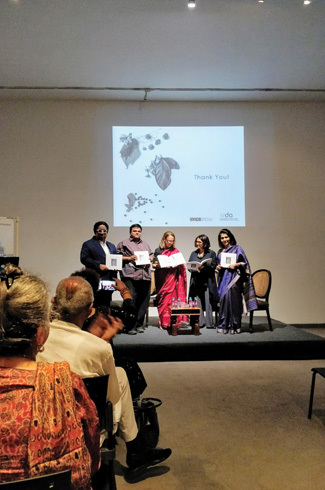 Samira Rathod Design Atelier documents the historic Rani Bagh in a book and draws attention to the diverse and exotic varieties of trees it encompasses. 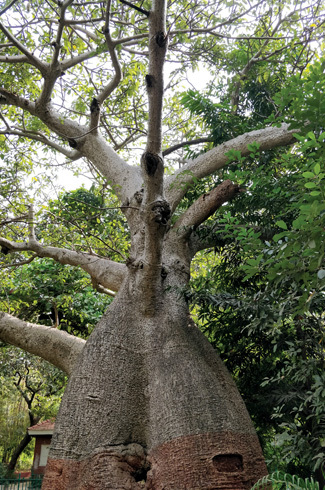 Amidst the vast concrete jungle and throngs of human crowds and pollution lies a dense thicket of lush landscape in a botanical paradise called Jijamata Udyan. Formerly and popularly called Rani Baug, after the original British name Victoria Gardens, it is now also known as Veermata Jijabai Bhosale Udyan & the Zoo. It is in the absolutely heart of an urban thicket in Byculla in Mumbai. These plants are a collection from different parts of the Colonial world. Rani Baug boasts of a rich and velvety green topography and garden that covers over fifty acres of area. Being the oldest public garden, it draws massive visitation from locals and tourists alike. The garden also houses the Dr. Bhau Daji Lad Museum, a staff building in Greco-Roman style erected in the memory of Lady Frere an equestrian statue of King Edward VII of England made of black marble known as Kala Ghoda and the David Sassoon clock tower. While the zoo does house some endangered species like the the Asiatic lion, jungle cat, palm civet cat, porcupine, gaur, mouse deer, leopard and others, the environment created by the gardens is what scores over the metal caging that objectifies the wild animals. The trees are the saving grace of this now fading garden. Giving a picturesque green visual, one can spend hours under the soothing green canopies. Despite being one of the largest open spaces in the city, Rani Baug is depleting. 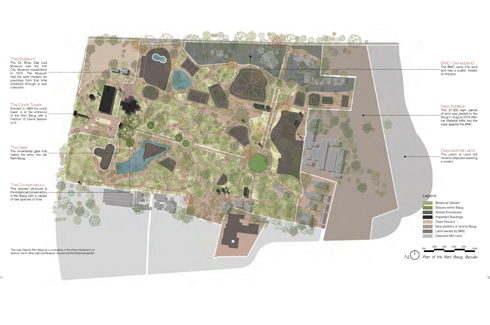 The zoo has deteriorated massively and the fate of the trees is also of concern. 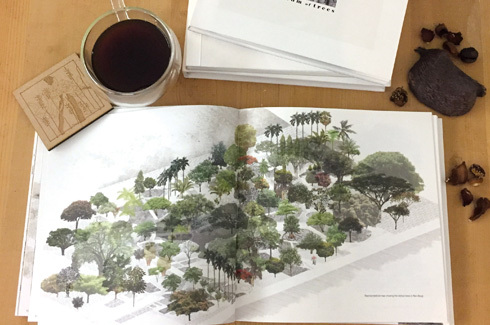 Samira Rathod Design Atelier has researched Mumbai’s only heritage botanical garden and documented the book, ‘Museum of Trees’ which not only addresses sustainability issues of preservation but also highlights the 3000 trees of over 300 species. These plants are a collection from different parts of the Colonial world. Acting as evidence of the British rule, the garden has collected centuries of resources of the flora and fauna brought in by countries like Madagascar, Cuba, Venezuela, Peru, Australia, Malaysia and Sri Lanka to name a few. 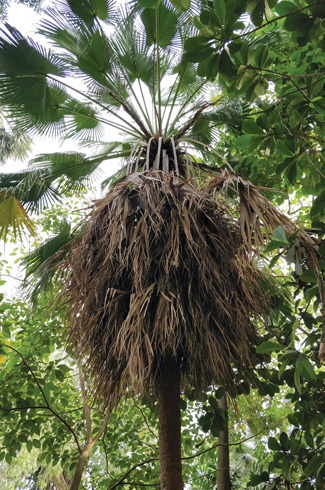 The book states that the documentation of the few trees from the Baug is kind of an exposition of the finer details of the various parts of the trees showing the intricacies of the way in which the plant has grown. The patterns of the barks, veins of the leaves, soft lines of the flowers and figures of the fruits makes one tree distinguishable from the other. The list of some of the trees chronicled are Rubber Fig tree, Indian Elm, Cacao, Rose of Venezuela, Monkey’s Ear, Eucalyptus, Cajeput, Talipot Palm, Kauri Pine, Elephant Apple, Cannonball, Baobab, Kanak Champa, Khat, Rain tree, Flame of the forest, Lignum Vitae, Peepal, Pride of India, Jack Fruit, Guest tree, Whistling Pine, Ashoka, Krishna’s Buttercup, Burmese Pink Cassia, Ebony, Copper pod, African Tulip and Yellow Tiger Bamboo. 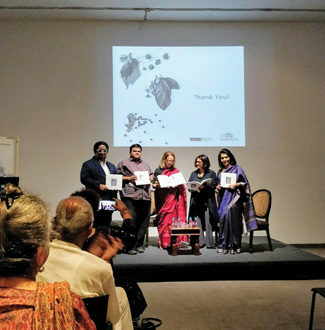 Rani Bagh, once a majestic terrain of exotic flora, still has the makings of a successful public space and the book also sparks a debate between developing the zoo or a botanical garden. 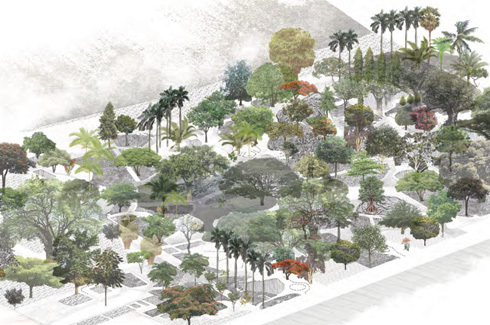 While Rathod believes that it should be converted to the latter along with a research centre and an amphitheatre, her team is working on a proposal to refurbish and redesign the zoo to make it more accessible to public.